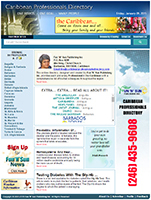 Our Websites – Fun 'N' Sun Publishing Inc.
Fun ‘N’ Sun Publishing Inc. manages four (4) core Caribbean territory informational websites – Antigua & Barbuda, Barbados, The British Virgin Islands and St. Kitts & Nevis. 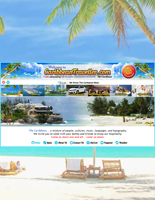 We also manage and host the Caribbean Traveller, an excellent portal website for persons seeking the very best in accommodation, cuisine, travel and leisure our region has to offer, and the Caribbean Professionals Directory, an invaluable resource which provides every professional in the Caribbean with a comprehensive list of his/her colleagues throughout the region. 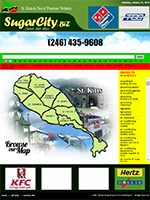 Click on the thumbnails below to visit the Caribbean territory informational website of your choice. Click on the thumbnails below to view the Online Drivers’ Manual for the country or territory of your choice. A printable PDF of your selected Drivers’ Manual is also available by clicking the printer icon in the control panel of the Online Drivers’ Manual.